Scott has served as a Chief of Police since January 2011. Silverii previously spent twenty-one years with a nationally accredited Sheriff’s Office. His career is mixed with special operations and academic achievement. 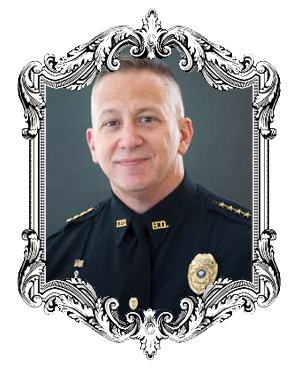 Chief Silverii spent nearly two decades in high-risk assignments such as undercover work, Task Force investigations, and SWAT command. His commitment to continuing education includes a Master of Public Administration and a Ph.D. from the University of New Orleans. Scott blends over 24 years of heart-stopping police experiences with an action packed writing style seasoned by the Mardi Gras, hurricanes, humidity and crawfish étouffée. Don’t let the easy Creole smile fool you. The Chief served most of his highly decorated career buying dope, banging down doors, and busting bad guys.